The Smart Choice for Personal Injury Attorneys. Seeking a lawyer? The legal system can intimidate and overwhelm anyone – if you have a personal injury, been in an auto accident, need a divorce, or a consultation on other civil matters, we're here to help. Don't let yourself get buried in details. Contact our law firm today. The lawyers at Spradlin Law handle many types of cases. If you don’t see your type of case listed here, please call (713) 228-2343 to discuss your legal matter. Vehicular Accidents is a serious matter that can affect you, your family, your work, and your future. A Personal Injury can occur from the negligence or intentional acts of another person(s). Our reputation speaks for itself. The law is our passion and we're excellent at what we do. 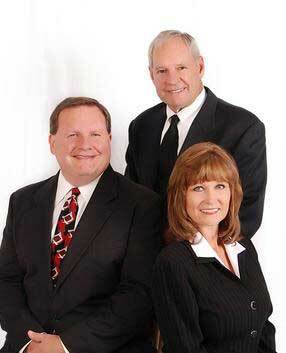 Our Law Firm is located in 25406 Oakhurst Drive, Spring, TX, United States. David Spradlin was licensed to practice law in 1992, and began his law career working with his father, James R. Spradlin, at Spradlin Law in Houston, Texas. Having an interest in civil law and a notable trial attorney as his mentor, David followed his father's footsteps in becoming a successful and aggressive attorney, aiding numerous clients throughout Texas with their various legal needs. He practices civil law with a passion for injury cases. Need a lawyer? David A. Spradlin was licensed by the State Bar of Texas in 1991. After his internship with Gulf Coast Legal Foundation, he became a staff attorney at West Texas Legal Services. He was the liaison for the local women's shelters and represented his clients in various family matters, most of which involved domestic abuse. In 1993, he moved to Houston. After the firm moved to Montgomery County, it became known as Spradlin Law. Personal Injury claims is a lawsuit brought by the injured victim or family against a Defendant that caused the loss or injury. Personal injury claims focus on proving that the other was at fault and you should be compensated for your losses. 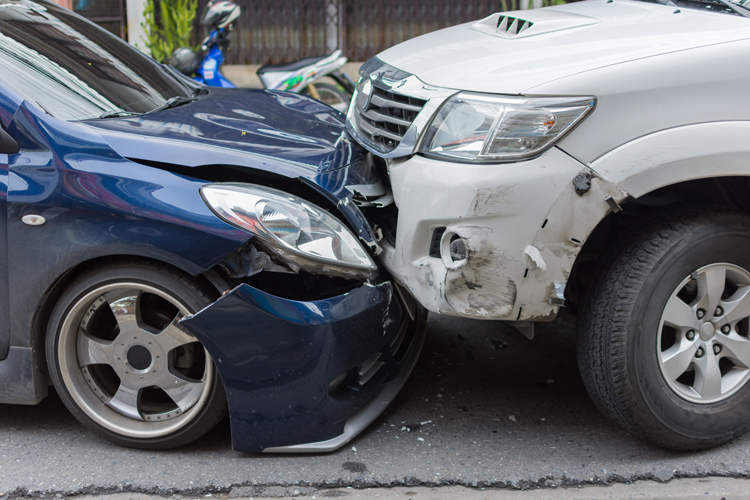 WHAT DO I NEED TO KNOW ABOUT CAR ACCIDENTS? Car accidents happen every day. Some are more severe than others. It can leave a heavy financial burden after the accident. You need to be fully informed of your rights. From being struck by an uninsured motorist to someone you does not carry enough insurance to cover you for your losses. This is known as Underinsured Motorist Protection and is offered under your policy. It can be very difficult to determine which insurance company is responsible for my losses. The polices can be very difficult to understand. There are deadlines to file your lawsuit for car accidents and rules and regulations under each insurance policy. Making the wrong move could result in loss of coverage. Our firm is experienced in car accidents and dealing with insurance policies. Call us today for a free consultation. WHAT DO I NEED TO KNOW ABOUT TRUCKACCIDENTS? Truck accidents are usually much more severe than car accidents. Whether it be car/truck or truck/truck the sure size of the vehicle involved usually results in catastrophic injuries or death. There are very strict Federal and State laws directed at truck drivers and trucking companies. The rules must be followed and if not, they could face serious fines and on some occasions loss of doing business. Unfortunately, not all truck drivers or companies follow these laws and you are made to suffer. One of the most important issues is to get as much information you can, if you are able after the accident. Including the name of driver, truck company and witnesses. You should call our firm as soon as possible so we can obtain that information for you. Some of the evidence could be lost or tampered. WHAT DO I NEED TO KNOW ABOUT SLIP AND FALL CLAIMS? Slip and fall claims are known in the law by Premise Liability Claims. A Premise Liability Claim is a lawsuit against the owner of a business or land where your injury occurred. You must prove that the owner of the property knew or should have known of a dangerous condition that existed on the property. This is a heavy burden for the injured person. You must prove that whatever you fell in or on had been there long enough for the owner to have known about it and failed to clean or move the substance or that other people had also fallen in that area. It is very important that if you are able to take a picture of where you fell. These types of claims are usually denied by insurance carriers due to the burden so it is important that you contact an experienced lawyer as soon as possible. An injury at work is where an individual employed by a company is hurt while at work, either during business hours or from by performing extra duties at the company’s request. Companies are required to offer some type of coverage for every full-time and seasonal worker. The state of Texas has companies that are registered through them while others offer protection themselves. Companies that offer coverage themselves are known in law as non-subscribers. These non-subscribers are not afforded that same protection. They can be held directly liable to the injured worker. On either case, there are deadlines that you are required to follow. Failure to timely file documents may result in loss of claim or benefits. Insurance carriers are notorious for deny injured workers’ claims. Our firm has several years’ experience in dealing with these types of cases. Whether it be state regulated or company run policy contact our firm to know your rights. If you have a legal question, we have an answer. Contact us to receive a free and confidential initial case evaluation from Spradlin Law. Your privacy is our priority. We will never share or divulge any case information with others.